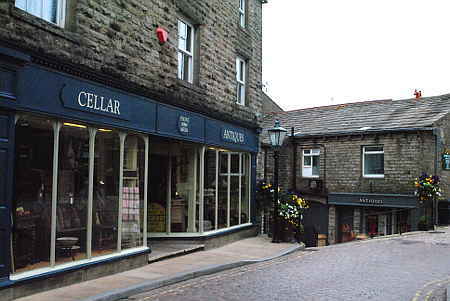 One of the places that we always recommend to our visitors is Hawes. This is a small market town in Wensleydale, just over fifteen miles east of Sedbergh, and the highest market town in England. 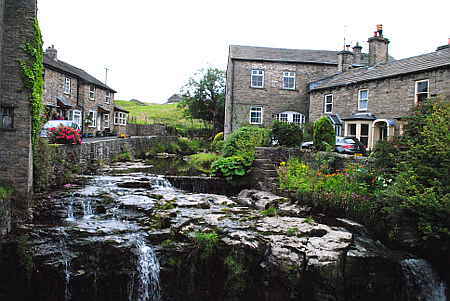 Hawes provides a good day out, with plenty to do in attractive Yorkshire Dales surroundings. 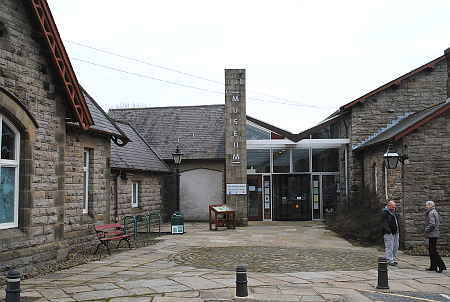 The Dales Countryside Museum in the old station yard is run by the Yorkshire Dales National Park Authority and contains a wealth of information about the people and places of the Dales down the centuries. This is a museum not to be missed if you want to understand the way the Yorkshire Dales landscape developed to the way it is today, and how people of the past lived and earned their livelihoods. If you have family connections with the Dales it will be especially interesting as the Museum has a research room holding a large amount of detailed information about Dales people of past centuries; much of this is on open shelves but by appointment you can also consult the archives. Volunteer staff are available to help on Mondays and Wednesdays. Hawes Railway Station – No trains running … yet! Next to the museum is what looks like a railway station, and indeed that’s what it was from 1878 to 1964. Trains used to run up Wensleydale through Hawes to Garsdale where passengers could connect with the Settle-Carlisle line. 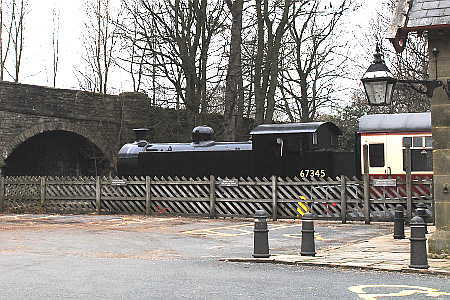 Nowadays the old station is part of the Dales Museum, with the engine and carriages as a stationary exhibit. Maybe one day it will be reconnected to the Wensleydale Railway, a heritage railway line that currently runs for twentytwo miles from Northallerton to Redmire, but that would be a major task as many of the old bridges and viaducts have been demolished. For visitors who like to browse around antique shops there’s plenty of scope in Hawes. The Wensleydale Creamery on Gayle Lane at the western end of Hawes, pictured at the head of this article, is also a “must” for many people. Not only can you learn how the famous Yorkshire Wensleydale Cheese is made but the visitor centre includes a shop, cheese-tasting and a great restaurant. (Note: Much “Wensleydale” cheese is not made in Wensleydale, not even in Yorkshire; this is the home of the real thing!) Or maybe you’d enjoy a trip to Gayle Mill, a traditional Dales cotton mill dating from the late 18th century, now restored as an exhition and craft centre. There’s a lot to do and see in Hawes.